The Six Sigma approach is being used to vastly improve processes, profitability, sustainability, and long-term growth at global organizations of all sizes. 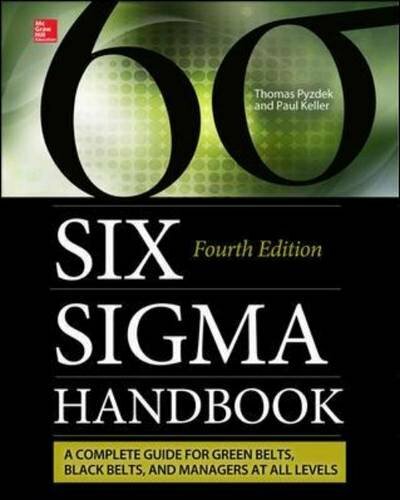 Fully revised for the latest developments in the field, The Six Sigma Handbook, Fourth Edition, reveals how to successfully implement this improvement strategy in your company. The book explains how to define and deploy Six Sigma projects focused on key stakeholder requirements and carry out data-driven management. This comprehensive resource walks you through the phases of DMAIC and DMADV and demonstrates how to use the statistical tools and problem-solving techniques of Six Sigma with screenshots of Minitab and Excel applications. Find out how to select the right personnel to train, achieve technical proficiency, build the best teams, and foster effective leadership. Improve the quality of processes and products in your organization, increase customer satisfaction, and boost profits with help from this definitive guide to Six Sigma.